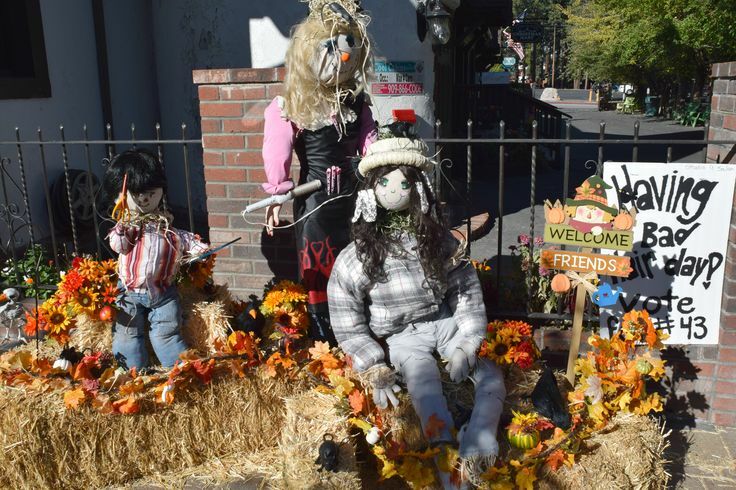 Big Bear’s second annual Scarecrow Festival runs until November 8, featuring dozens of different types of scarecrows on display throughout the village. To make things even more interesting, there are ballots and maps located at various participating merchants and at the Big Bear Visitor’s Center so you can vote for your favorite scarecrow. The final day of voting is October 30, with the awards ceremony occurring during the annual Halloween in the the Village on October 31. Each Halloween, the streets of Big Bear village are closed down turning the area into a spooky, exciting reconstruction of itself. More than 50 shops in the village transform into a community trick-or-treat area in a safe and fun environment. The Big Bear Alpine Zoo transforms into a Halloween themed park and it is not to be missed. From 1 p.m. until 4 p.m. on October 31, the zoo will feature The Graveyard, Pumpkin Patch, Electric Dungeon of Doom, Witches Brew, Scarecrow Land, Witches Lair and Goblins. Additionally, all animals will be on display throughout the zoo. Don’t forget to dress up, as prizes will be award for best costumes in multiple categories. To view more blog posts from Village Reservations, click here.